Styled for female recreational paddlers, this high-back life vest features articulated, body mapping panels that accommodate a woman's natural curves. the flexible Gaia® PVC-free foam panels are cut to allow the Naiad to wrap the paddler in comfort and security. With the soft texture of the durable 100D stretch polyester fabric, the Naiad makes comfort a priority. 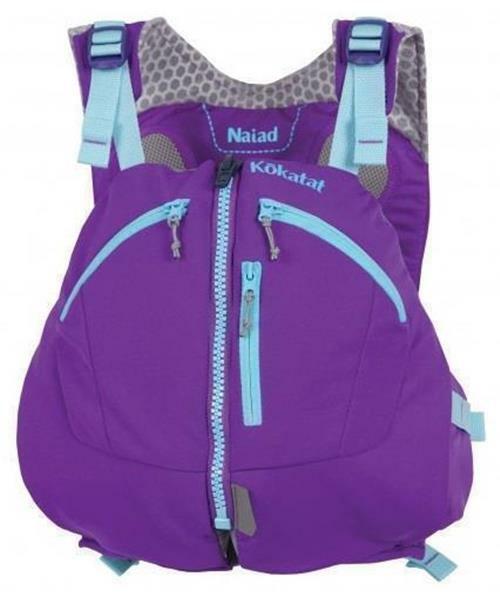 Naiad PFD - Womens is rated 4.0 out of 5 by 1. Rated 4 out of 5 by Angele from Good fit. Can move very easily in it. Like all the pockets & the area where you can warm your hands in.